7 Bedroom House To Rent in Orpington for £16,000 per Calendar Month. 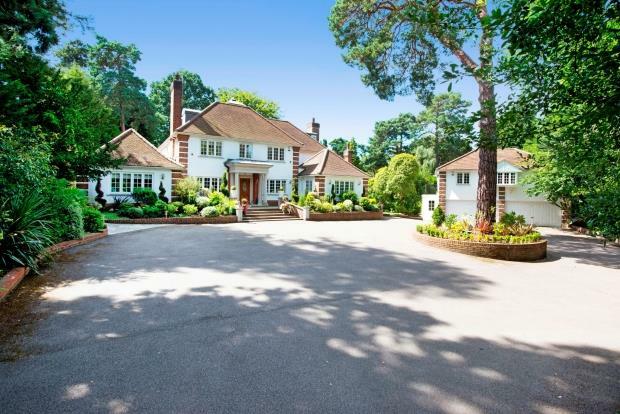 The property sits on an approximate plot of 1 acre on the highly favoured Keston Park estate. Accommodation that extends to just under 10,000 sq ft. with seven bedroom suites over three floors, has a truly impressive hall with vaulted ceiling and atrium providing access to six reception rooms and a quality bespoke Mark Wilkinson fitted kitchen. Individual features include impressive double height orangery to the ground floor and to the master bedroom with some lead detail. The property has automated lighting throughout, a living control home automation system and benefits from much quality in terms of joinery with features such as leather bound door handles and some underfloor heating. Occupying a gated plot at the end of this very peaceful and sought after cul-de-sac, there are beautiful landscaped gardens to all sides with tennis court. The property also has the benefit of a detached annexe which has accommodation over two floors with a large open plan living space, one bedroom with two bathrooms, attached to a four car garage. To truly appreciate all the features found in Muralto we would thoroughly recommend an internal viewing.